We heard that there was a museum about Clara Barton in Washington, D.C. We have studied Clara Barton before and so when we heard about it, we knew we had to visit. At Home Dad and Miss E headed off to the Holocaust Museum and we hiked up the hill from where we had parked. The Clara Barton Missing Soldiers Office Museum was really neat and one I highly recommend. There is a short film (under 15 minutes) that introduces Clara Barton, her work, and how the building that the museum is housed in was found. The story of the building – a man who was working for the government was checking it out, trying to figure out what needed to be done to get it torn down. While on the upper floors, he noticed something strange poking out from the attic. He grabbed a ladder, got the paper and took a look, as it was clearly old. It turned out to be the first of over a thousand artifacts from the Civil War era. One of the artifacts gave away what the building had been – the offices Clara Barton and her Missing Soldier’s Office. There was no way they could tear the building down now! And that started the work of preserving and restoring parts of the building. The third floor was restored to what it would have looked like at the time of Ms. Barton’s use of the building. There are even pieces of wall paper that they were able to locate and then replicate so the wallpaper is appropriate. The upper floor is set up somewhat like it might have been at the time of Ms. Barton. There are documents preserved to be read, along with information describing the work she did. She spent so many years helping others from this building. There are places where you can see the original wall papers. There are photographs and original papers. There are some examples of things like socks that were precious commodities during war time. Clara Barton is an interesting and important figure in American history so it was special to be able to visit the Missing Soldiers Office, take a look at the large pages of names that she worked from and read letters from people seeking her assistance. To know that where we were standing had made a difference in so many lives was incredible. It is a fascinating place to visit and I am so glad we were able to visit. They operate on donations and on purchases made from their store. I was disappointed that they only had a few biographies on Ms. Barton, several of which did not look engaging for me or the girls, though they did have the biography that we studied from YWAM. I did make a purchase of one of my favorite authors and a book I didn’t have – Louisa May Alcott’s Hospital Sketches. If you have opportunity, I do recommend visiting this museum. 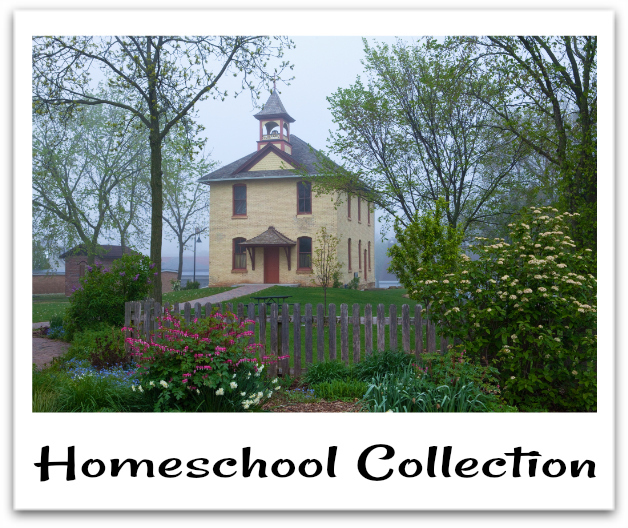 Linked with the Homeschool Review Crew Homeschool Collection. This is another place on my to-visit list that we haven’t been to yet! (Yes, we live within an hour of DC) Thanks for the reminder! It looks great! It doesn’t take too long, maybe an hour? But definitely worth the visit. Hope you get a chance. I do have to say I am a bit jealous of the proximity you have to DC. This looks like a fun field trip! There is so much to see in and around DC. It was. And yes – DC is just full of awesome places to visit. How cool! I wish we lived closer! Miss sometimes when I lived in Pennsylvania and could take the train and just spend the day visiting places like this. One day – vacation – so we can explore all of these great places. That’s what we did. Took a couple years to plan and then spent three weeks on vacation and hitting 17 states. Lots of fun. I love field trip ideas. Thanks for sharing! that sounds like a great place to visit. I’ve never heard of her before. off to learn! Oh yes! She is perfect for the world wars study you all are doing. Her work had major impacts on the wars following the American Civil War.